Bill Cummings takes Low Gross Prize, Gary Adams Low Net at Monday’s Senior Golf League. Golf Results for Chesapeake Bay Golf Club’s Senior Golf League for Age 50+ Men & Women on Monday, May 9, 2016 at the Rising Sun Course. Start your Monday mornings out with a great game of golf! Mondays April through October are Senior Days at Chesapeake Bay Golf Club. Join in our Senior Golf League – or play in our new Senior Tournament Series. You choose – no Commitments necessary – pick a Monday and play when you can. Our Senior Golf League and Senior Tournament Series are Open to the Public to Age 50+ Men and Women. Share the news and invite your friends! 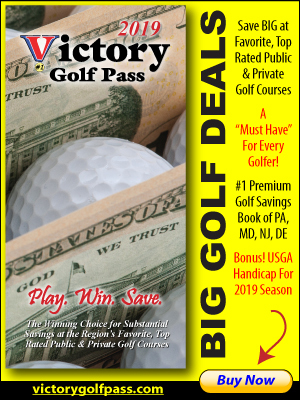 To sign up, please contact the Rising Sun Course Pro Shop 410-658-4343 x26, or call our League coordinator Brian Mullin at 410-287-0200 x19. SENIOR TOURNAMENT SERIES: Our brand new Senior Tournament Series is offered on select Mondays throughout the golf season and is Open to the Public. Features Gross & Net Prizes in Age Divisions, and Entry includes Golf, Cart, Lunch, Beer & Prizes following the round. A Great deal! Click to view Full Senior Schedule. 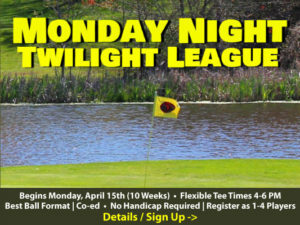 SENIOR GOLF LEAGUE: Join us 8:30 am Monday mornings at the Rising Sun Course.